Have you ever thought of the origins of Halloween, where and why it all began as well and why we celebrate it in the United States the way we do? I have compiled what I believe, to be some very fascinating facts about the evolution of how Halloween came to be what it is today. It began approximately 2,000 years ago, the ancient Celtic festival of “Samhain,” marked a new year for the area of what is now Ireland, the U.K. and Northern France. The celebration marked the end of the summer season, the death of the harvesting period and beginning of winter. It took place on November 1st. This was also the time of year human death tolls increased. The Celts believed that on October 31, ghosts of the deceased returned to earth to cause trouble and damage crops. The belief of the time was that these spirits communicated with the priests during this time period and helped them better predict the future which gave them great comfort. The Priests (called Druids), would mark the celebration by gathering with the Celts and burning crops and animals as an offering for the spirits. They would adorn animal heads and skins during the celebration and attempt to contact these spirits and communicate the future of those around them. They would continue the celebration in front of their own hearths by lighting them from the sacred bonfire. Their belief was that it would help protect them during the long winter months. The Celtic territory was conquered by the Roman Empire by 43 A.D. and during the 400 year rule, the Roman festivals of “Feralia,” the celebration of the passing of the dead and “Pomona,” the celebration of the Goddess of fruit and trees were combined with the Celtic celebration, which is most likely where bobbing for apples comes into play. According to History.com, “On May 13, 609 A.D., Pope Boniface IV dedicated the Pantheon in Rome in honor of all Christian martyrs, and the Catholic feast of All Martyrs Day was established in the Western church. Pope Gregory III (731–741) later expanded the festival to include all saints as well as all martyrs, and moved the observance from May 13 to November 2.” The church later dedicated November 1st as “All Souls Day,” also referred to as, ” All-hallows,” or “All-hallowmas,” in the year 1000. Once it became a church holiday, people celebrated in similar ways as the Celts did but the costumes extended to include saints, angels and devils. Halloween was celebrated by the Pioneers in Maryland and areas south much more than the New England area due to Protestant beliefs. As the beliefs of the Europeans came together with the Indians, the celebrations came to include gatherings where the attendees would celebrate the harvest by telling stories of the dead and each others’ fortunes and incorporated singing and dancing. Halloween as we know it today came about nationally during the 1800’s with the influx of Irish Immigrants. Irish and English traditions meshed together and people would dress up and go house to house asking for money or food. By the beginning of the 20th century there was a movement to make it a national holiday centered more around neighborhood gatherings and away from celebrating pranks, witchcraft and ghosts. Leaders and newspapers spread the word that they wanted all things scary removed from the holiday’s celebrations. Between the 1920’s-1950’s the older practices of celebrating Halloween were embraced once again. Families believed they could prevent tricks being played on them by passing out candy to the small children. If you have enjoyed this post, feel free to share it. If you would like to stroll through several haunted locations and learn more about their history, who may be haunting them and video evidence of paranormal activity, peruse this site by heading over to the sidebar for more. Several friends, my husband and I are planning a trip to “The Witch City” of Salem, MA. 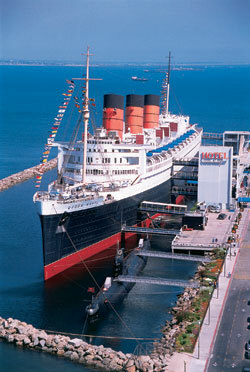 It is not only a ghostly city, but also home to on of the most significant seaports in America. It is home to the 1692 historical witch trials. With many shop, such as, New Age and Wiccan boutiques, kitschy Halloween, witch-themed attractions and a vibrant downtown that has more than 60 restaurants, cafes and coffee shops, the 15th Annual Retailers Association of Massachusetts names Salem as the best place to shop. If you plan on visiting, be sure to plan in advance which shops, museums or haunted locations you would like to visit. There is simply too much to see in just one weekend. Below you will find a great selection of museums, cemeteries, historical homes, shops, tours, mock witch trials and much more. I’m sure you will find something to satisfy everyone. If you are interested in stopping in to a haunted house, be sure to check the website offered with many locations that I will cover at a later time. As you narrow your choices, be sure to contact the location to ensure they are operating during the time of your visit. Some of the locations are seasonal and close after October or November and open again around April. Burying Point – Charter Street – The oldest cemetery in Salem contains the grave sites of Mayflower voyagers and John Hathorne, Judge from the Salem witch trials. Corwin House/Witch House – 310 Essex Street – The only structure still standing with direct ties to the Salem witch trials of 1692. Salem Witch Museum – 19 1/2 Washington Sq N. – Salem’s most visited museum focuses on the Witch Trials of 1692. Witch History Museum – 283R Derby Street – Hear the untold stories of the witch trials. Open April through November. Chestnut Street – The antique houses on this street showcase one of the most architecturally beautiful streets in America. Count Orlok’s Nightmare Gallery – 285 Derby Street, Salem – Hollywood FX artists have reproduced life sized monsters from over 30 different horror movies. House of Seven Gables – 54 Turner Street – Includes a guided tour of the Turner-Ingersoll Mansion (The House of the Seven Gables), a visit to the Nathaniel Hawthorne House, the Counting House, the Colonial Revival Gardens, and the waterfront. Museum Place – East India Square – This shopping mall offers specialty shops, , home to a single family for over 5 generationsan eatery and 3 screen movie theater and home of the Nightmare Factory, Salem’s oldest haunted house. Phillips Street – 34 Chestnut Street – This is a federal style mansion that showcases 5 generations of artifacts. Pickering House – 18 Broad Street – The oldest home in America, home to a single family for more than 3 1/2 centuries. Salem’s Witch Village – 282 Derby Street – Discover the myths and facts about witchcraft. Hysteria Pass covers admission to the Wax Museum and the Witch Village. Open year round. Salem Witch Museum – 32 Derby Square – A great overview of the ares history and attractions. Salem Trolley – 8 Central Street – One hour tours through Salem with all day shuttle service. The Salem Witch Walk – 125 Essex Street – Join Salem Witches bless you, take you on a tour of a graveyard and teach you the truth about different types of witchcraft. Witch City Segway – 283R Derby Street – a two hour tour through the city’s attractions on a Segway. Witch Dungeon Museum – 16 Linde Street – Presentation of witch trial based on the 1692 actual transcripts. Open April through November. Enchanted Magickal Shop – 98 Wharf St. – H.P. Laurie Cabot’s new shop. She was famed as the original owner of the first witch shop ever. (Be sure to call for an appointment for tarot readings!) Robyn Mortola is fantastic! Omen – 184 Essex St.
Pickering Wharf – Derby Street – Featuring harbor tours and cruises, home to many boutiques, including occult and Wiccan shops. This is an incomplete list as there is just so much to do. These are all great places to start. For a list of haunted locations, some of which (or witch) I will be covering the histories of here on this blog can be found by visiting the site, Salem MA Witch City Ghosts. Please comment with your favorite location in Salem if you have visited in the past and we will report back after our visit. Is it folklore or truth that the full moon increases the height of paranormal activity during it’s reign? Is there a better time to visit a reportedly haunted location? Should you hold your breath when passing a cemetery during a full moon? OK, the “holding your breath” question was just a joke but I was curious as to what a search would reveal on the others. Friday, October 18 is a Full Moon. This moon is also called Travel Moon and the Dying Grass Moon, The Hunter’s Moon and the Blood Moon. The different names date back to Ancient Indian Tribes. They are centered around what took place during the October Moon. They would hunt by the moon to gather food for the upcoming winter, gaining the name, the Hunter’s Moon; Travel Moon was given because the animals would travel great distances during this full moon to gather food; the Dying Moon due to the leaves and grass dying as the seasons changed; and the Blood Moon, because of the hunting and killing that occurred during this time. This moon (on October 18, 2013,) also carries with it an eclipse that will only darken the moon slightly but can be seen from the U.S., Europe, Africa and Asia. I have heard numerous reports that paranormal activity is increased during the full moon. Since I am planning on going on my first tour of a certified haunted location, I wanted to know if this was true. I expected all the sites I read to confirm this. I did a search to see what the consensus was on this question. Several websites will argue that the best time for paranormal activity is during the new moon (the next new moon will be November 3, 2013,) while others state the moon has no affect on humans, let alone the after-life. The latter, I do not believe (as far as humans are concerned). I have worked in customer service for almost all of my life and I can tell by the way the customers behave that the full moon does indeed affect us. Another site suggests that perhaps it is the light the moon provides paired with the way our bodies are affected that is attributed to the yield of higher paranormal evidence during a full moon. I really could not draw a solid conclusion on this and I will not be able to confirm nor deny any of the information based on what I personally experience tomorrow because I have nothing to compare it to. I would have to conclude that it depends on the location, the investigators, weather, and the energy levels in each location. I will leave this question unanswered and perhaps will return to it at a later time to do more research. Do keep in mind however, paranormal investigators are finding valuable evidence on a daily basis across the world, without the moon playing a factor. So, if you are going to plan a trip to a haunted location, don’t wait, go when it’s convenient for you, relax but bring your energy, be open to all possibilities and enjoy your stay. *Picture of the moon was taken by me, Missy Bell on October 17, 2013 from Massachusetts, was taken with an iPhone 4S camera with auto flash. The only editting that was done to this picture was HD and color enhancement. Many people have expressed interest in going on investigations. I have had such a great time learning the history of the places I have researched that I would love to go on a few as well, tag along with some professionals. I also have a fascination as to why ghosts manifest themselves and stay in contact with the living. I can’t say that I wouldn’t do the same after I pass, and I’m sure, for each spirit it is for a different reason, but to know would be such so amazing. I cannot see too far ahead of me on this path, if it leads anywhere or is a dead end. For now, I am exploring what fascinates me, what has always fascinated me. In my search for knowledge I came across a few sites that seem to be quite informative about questions I have about the paranormal. Over the next few weeks next few weeks I’ll give a quick review of what they are about and list them for your reference, trying to keep each post focused on a specific area. If you decide you are interested in learning more, check them out. (I will be adding these in here and there, mixed in with the research-style articles that I have been posting. If you have a site that focuses on the paranormal that you’d like me to mention in the future, or a location you have interest in learning more about, I’d be happy to research it online and bring you as in depth of a history as I can. I am only as accurate as the information provided. I am not psychic, well, if I am, my skills are not developed enough to discern truth from fiction in videos or written evidence, nor can I discern if someone has doctored a video or created a myth. Always keep in mind that people will argue or try to find something misleading in any evidence that they did not see, hear, touch or smell for themselves in real time. It’s human nature. That being said, I do not always believe what I see or read, what I want is for you to form your own opinion or investigate for yourself. That’s the excitement of it. What types of equipment are available to investigators and how do they work? What are all the ways a spirit or entity manifests? What types of entities are there and how can you tell the difference between spirits that are good and those who mean to do harm? What type of findings are the most accurate and why? Is there a time when the activity seems to be more active? What are the theories behind why spirits follow people or attach themselves to the living? What part does a Medium play in the role of an investigation and what are ways they gather knowledge and information. I look forward to the journey and challenge as always. If there are questions you have or if you are interested in reading the findings of anything above, let me know in the comments. Also, if you are an investigator and would like to share, I would love to hear from you. How did you get started? What steps did you take? Thank you for stopping by. As always, I truly appreciate it. For posts on paranormal locations, see the side bar on the left. That is also where you can follow this blog. (Scroll to the bottom of the post to share.) I hope you will follow this or my other blog, The Peace and Happiness Project where I offer up inspiration, tips and tools on how to reduce stress and increase happiness and a few posts on what makes me happy and brings me peace. We are one week away from headed up to the Victorian in Gardner, MA to celebrate my birthday during the psychic fair. I was reviewing more YouTube videos when I came across this one and thought you may find it interesting. I know I did. Seeing that my friend Wendy was just there last week and her group hear a roar at the same time another group reported seeing an apparition, I thought this was a perfect one to share. Could the growl she heard have come from the same spirit as the one in the video? The video has some shaky moments. I believe it was produced to be that way. It’s not your computer acting strange. Thank you for stopping by as always. Feel free to share any of these posts. You can also check out my other blog site at The Peace and Happiness Project ~ Missy Bell.